WITH the rollout of water meters this summer and fixed charges due to be introduced by 2015, water has now become a very valuable commodity. Local businesses know all about water: some coffee shops in Dublin’s Temple Bar have to pay €4,000 every year in local authority water charges. To cover this bill, they would need to sell several thousand cups of coffee. For hotels, the annual water costs can be as high as €20,000. However, one man’s trouble is another man’s opportunity. As a result of the water supply being monetised, well-digging firms are now doing a roaring trade wildcatting for what could be called blue gold. Ironically, Ireland is soaking in water, billions of tonnes falls annually, most of which soaks deep into the ground. So much so that if you dig a hole pretty much anywhere in the country you will hit a decent lifetime’s supply of drinkable water. Tom Briody & Sons, which is based in Kells, Co Meath, has been in the business of wildcatting for water for over 50 years and, like most drillers, the firm has never been busier. Eimear adds: “Normally we do a trial hole first to see what is there and to assess the yield and flow. We would also check if there is any effect on the water levels of other wells in the area. The water is also tested to see if it needs additional treatment. All going well, we would then drill a production well which is a six-inch diameter bore hole and fit a pump. “It makes total economic sense to have your own water well; after your initial capital outlay, you won’t have to think about it again for about 20 or 30 years except for maintenance every couple of years,” she explains. Gerry Rafter, proprietor of the award-winning The Rafter Dempseys in Friary Street, Kilkenny, and chairman of the Vintners Federation Ireland, is no stranger to water rates. However, because he is located in the middle of a bustling and congested medieval city, drilling for a well is not an option. “We are a medium-sized pub with a 50-ft frontage, and in my case, water is a substantial cost and comes in at about €3,410 for the year on top of everything else,” Gerry says. “I suppose it was inevitable that water rates were going to come in for everyone right across the board – not that I like it. Water is very expensive here in Kilkenny City and the Corporation charge 96 cents per cubic litre. It is a very expensive country to do business in,” adds the head of the Vintners Federation, which represents over 4,300 members nationwide. In the capital, the cost of water is double, with Dublin City Council charging a tariff of €1.99 per cubic metre of water – the equivalent of 100 flushes of a toilet. 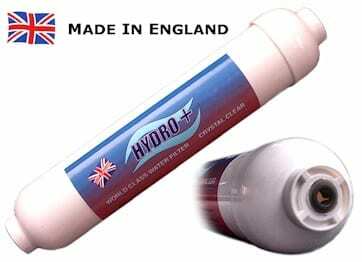 Currently, over 83 per cent of the country’s water is sourced from rivers and lakes, and as such, is prone to occasional pollution from septic tanks and slurry; a problem which generally does not affect water which is sourced from deep underground. The landmark County Club in Dunshaughlin, Co Meath, is off the grid and has its own pristine mineral-rich water supply. An asset which not only saves it money, but is good for business too. Manager George McElhenny explains why its water is such a boon for trade. 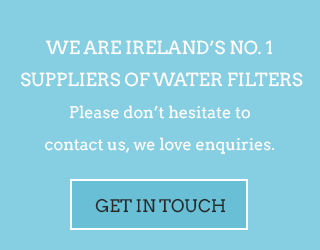 “The water here is outstanding; it is Ballygowan on tap and people have always spoken of the high quality water we have here. The Meath football team come here all the time and they rave about the water. Brian Peters, who owns the place, won’t drink anything else, soft drinks or coffee, except the water– it is that good. With good water, the teas and coffee taste better too. “We have 30 staff and run a very big restaurant, bar and function rooms so we use a lot of water. With your own well, it is nice not to have any other added expenses like water rates,” he adds.